Sneaking in just before ADELE DAY, Florence + The Machine releases the sixth (and presumably final) instalment of her melodramatic "The Odyssey" - an interlinked video project for her album How Big How Blue How Beautiful. 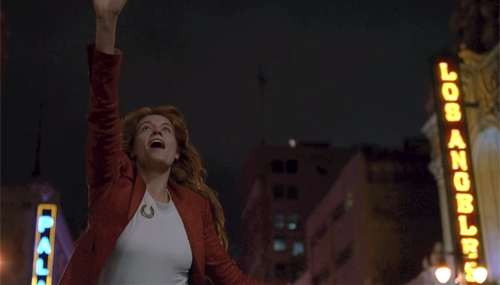 Accompanying the album's best track, Delilah, the new chapter finds the singer wandering around a freaky motel, replete with religious imagery, enthusiastic writhing and - as in many of the previous clips - Florence being pushed, pulled and manhandled by the human manifestations of her demons. And, with that, the baton is passed from one ginger titan of British music to another.